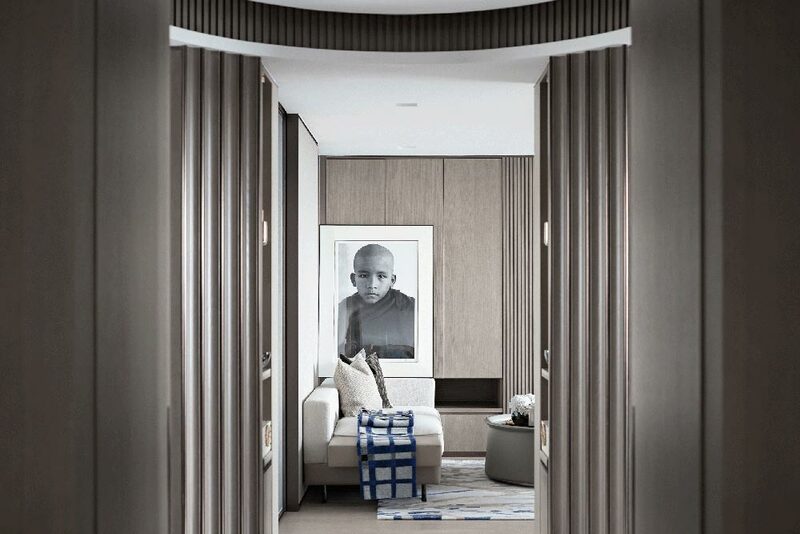 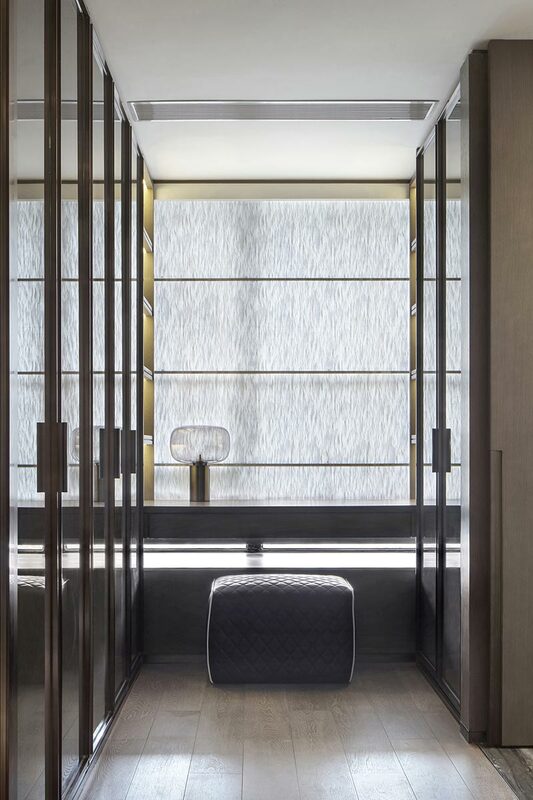 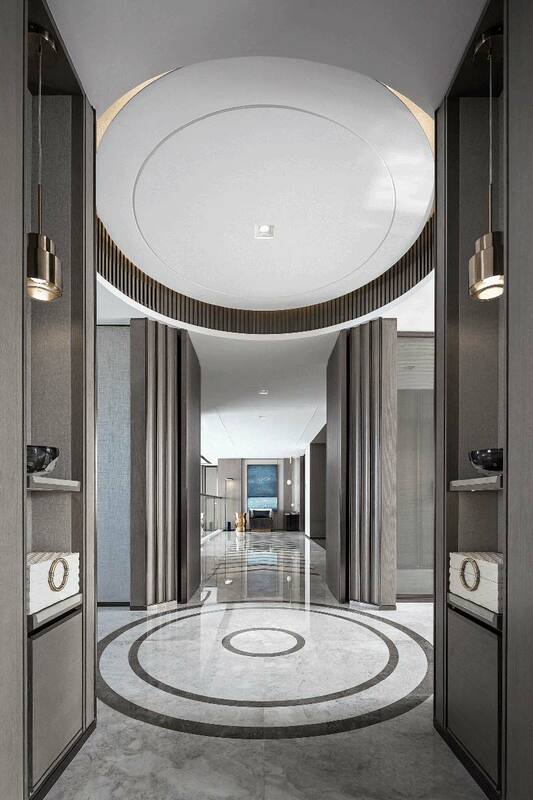 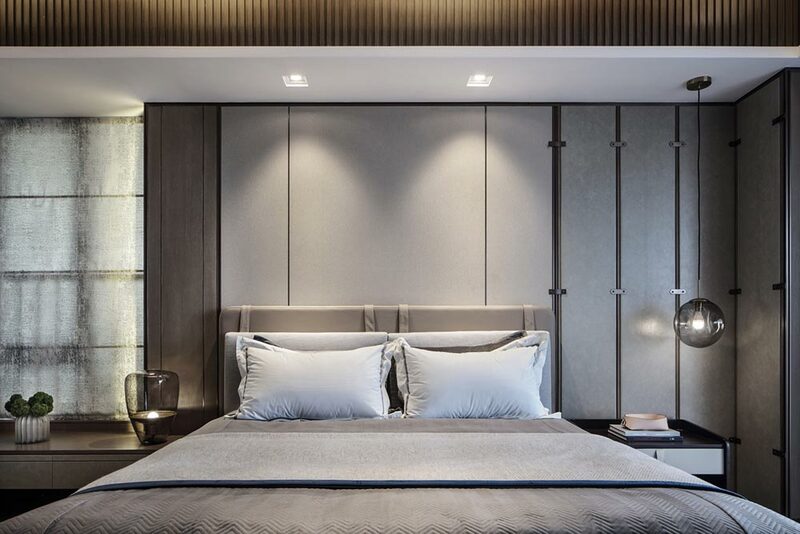 Located off the Qianshan River, in the distance of the Jiangjun Mountains in Zhuhai, China, and spanning nearly 4600 square feet; Mangrove Bay Residence is a regal display of marble floors, slate grey walls, ambient lighting and sensual sophistication throughout. 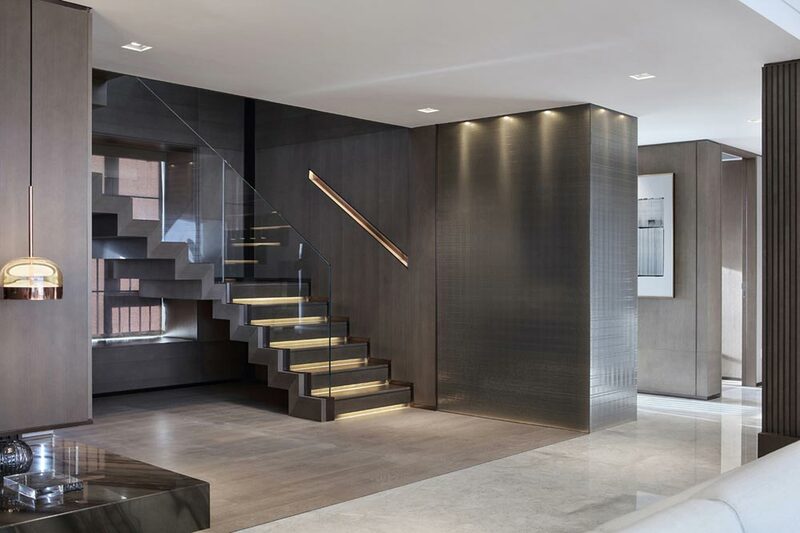 Tucked away from the city lights, this luxurious monstrosity is highlighted by items such as the rich saddle brown leather dining room seats, which are set against a large table looking on to a built-in ‘wall of wine’. 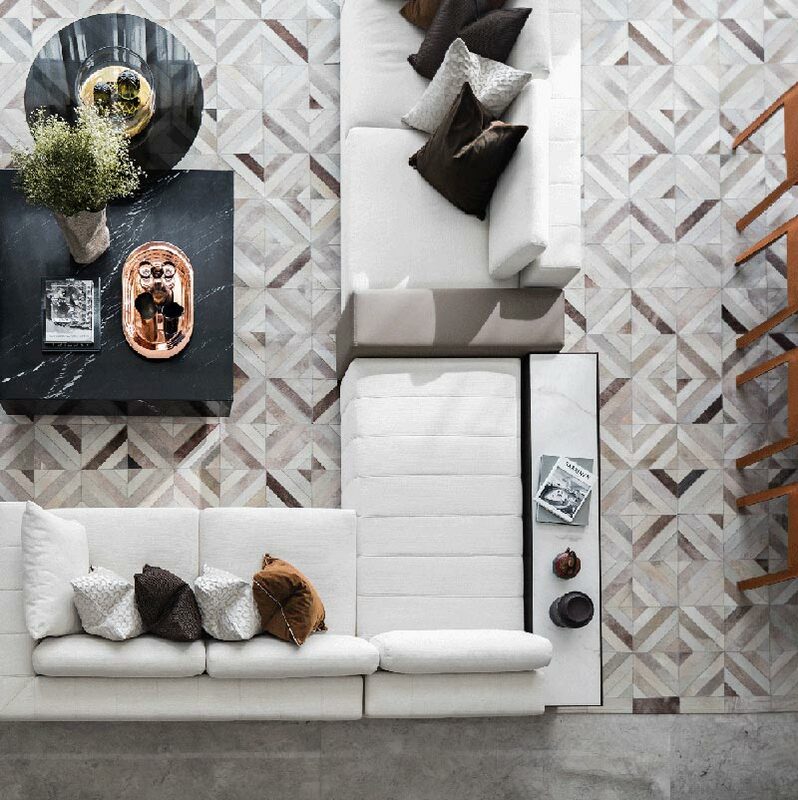 Minimalist without being sparse, each piece of furniture fits this space beautifully; such as the large white sectional sofa resting on a monochromatic kaleidoscope area rug, set beside a rich black cocktail table for optimal entertaining benefits. 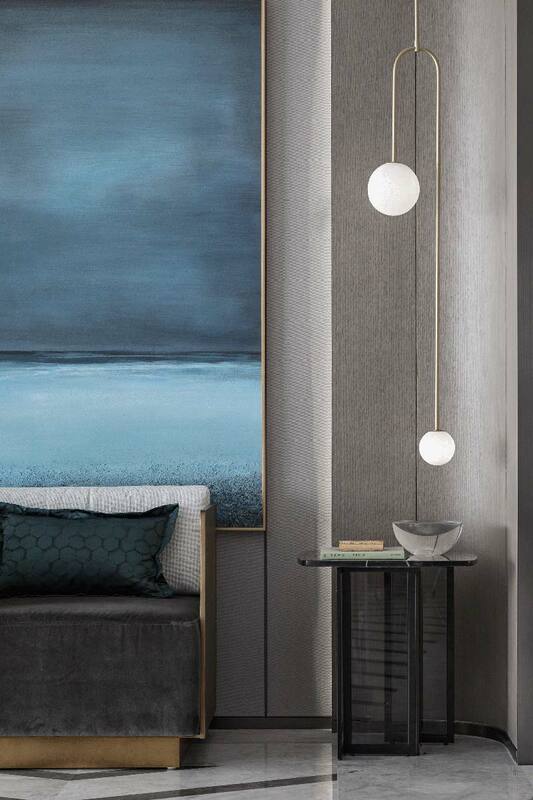 Textured grey walls create flow into another sitting area, while a smooth grey backsplash in the bedroom delivers a tranquil space in which to slumber. 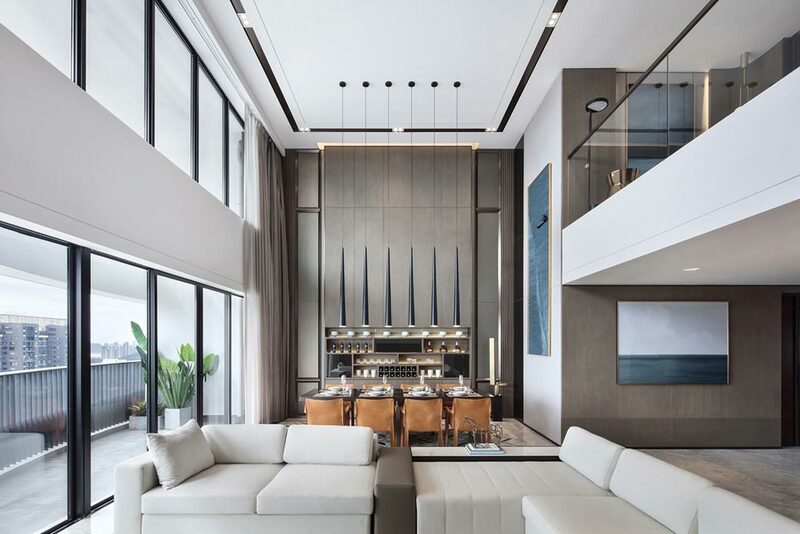 Floor to ceiling windows also allow for plenty of natural light, highlighting the double-high living and dining room ceiling, stretching up through both penthouse levels in order to take in the view beyond its glass riddled walls. 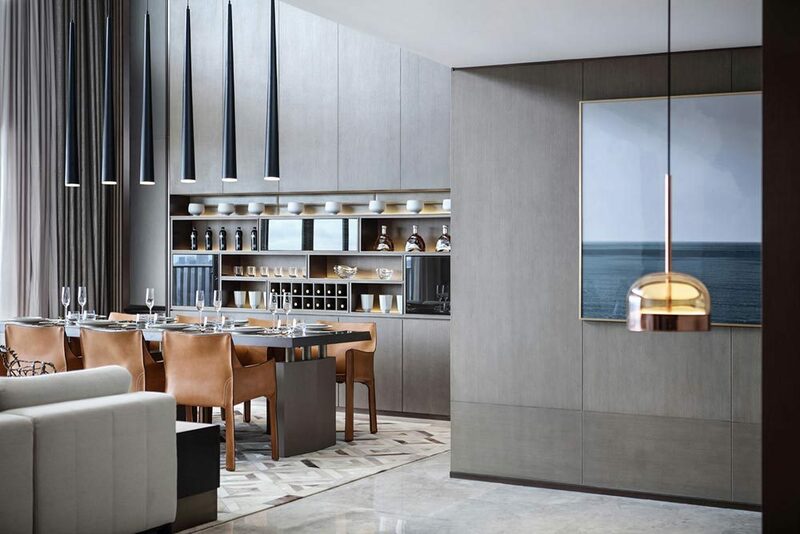 Whether entertaining amidst the grand dining room table, or relaxing in one of the well-appointed sitting areas, this beautiful apartment design is a sumptuous display of impeccable design, effortless opulence, endless comfort and layered luxury; connecting real life to multi-functional spaces, while turning city life into tranquility at its finest!